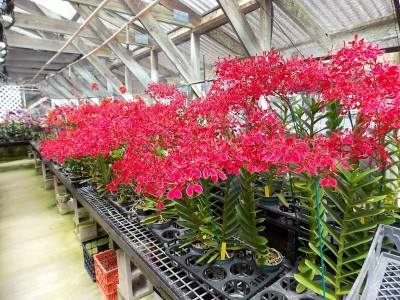 This is a little bit of the history of Kawamoto Orchid Nursery. 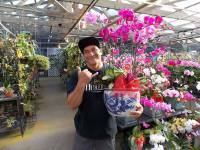 When Patrick Kawamoto bought his first orchid plant, he was being extravagant. It was 1934, and Patrick was only 14 years old. 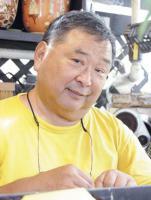 The Kawamoto's were immigrants to Honolulu, and money was scarce. 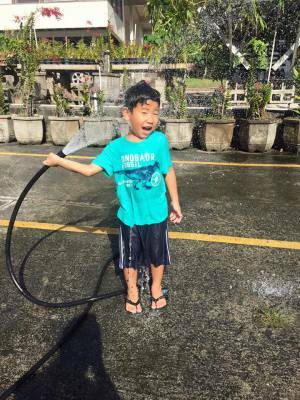 What few funds the teenager earned by cleaning yards normally went right to his mother. 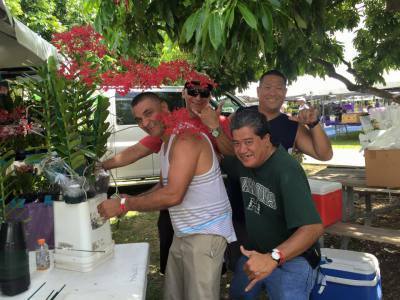 Patrick was fascinated by the spectacular and mysterious blossoms, which flourished for him in Hawai'i's lush, sweet climate. He became a welder by trade but continued to collect new orchid varieties. Practicing the arts of propagation and cultivation, his collection kept growing. He built greenhouse after greenhouse. 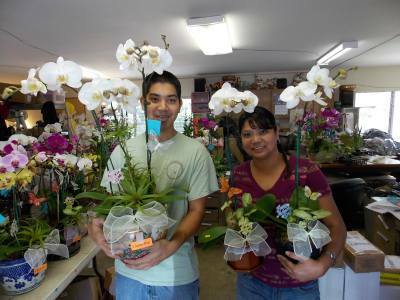 Slowly but inevitably, the orchid operation outgrew the 'hobby' stage, and, in 1947, Patrick opened the doors of Kawamoto Orchid Nursery. 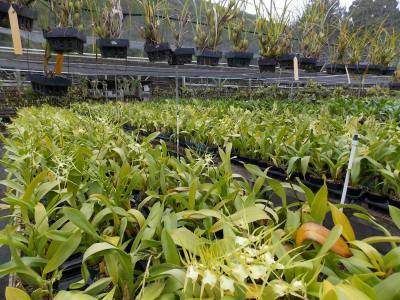 Today, the nursery thrives as a family tradition, an international exporter of thousands of varieties of Hawaiian orchids. 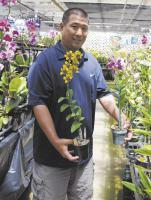 The 3 1/2 acres of verdant orchid houses are managed by Patrick's son, Les, and have been operated by three generations of the Kawamoto family. 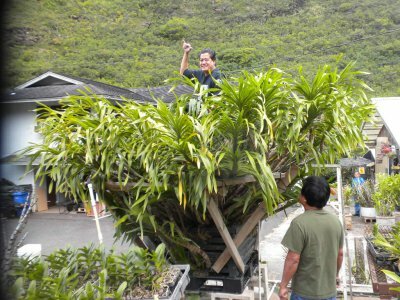 O'ahu visitors love to walk through the nursery's luxurious, sweet-smelling greenhouses, nestled back in cool, green Palolo Valley, just beyond the urban bustle of Honolulu.